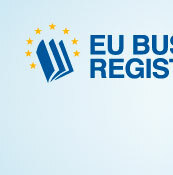 EU Business Services Limited and the EU Business Register are not related to any organization or institution of the European Union or Commission. 1.  All orders are governed by the terms and conditions stated hereinafter. Acceptance of any modifications of these terms shall be subject to EU BUSINESS SERVICES LTD (the service provider) prior written agreement. By sending his/her order, the subscriber accepts these terms unless he/she sends a cancellation within a period of seven days after the date of the signing/stamping of the order note, after which the contract will come into force. To be effective, the cancellation must be given in writing and must be sent by registered post with confirmation of receipt. 2. The service provider will place the insertion to the data base of the EU Business Register within a period of three weeks after receiving the order. The data of the subscriber will be used as stated in the order. The invoice will be sent by post. Payment will be made by the subscriber on the service provider's bank account as mentioned and within the period specified on the invoice. 3. The subscriber must provide exact details of his/her business and/or his/her professional activity. On the basis of these details an insertion shall be drawn up. Within a period of two weeks after the date of the invoice, the subscriber can make such corrections or alterations as he/she may consider appropriate and return them to the service provider. Upon the expiry of this period without receiving such corrections or alterations, the details shall be published in its original form. Should errors appear in the publications and these errors are based on the details provided by the subscriber, the subscriber shall be the only person liable for such errors. In the event that the service provider should have printed incorrectly the details provided by the subscriber in the online edition of the EU Business Register, the subscriber is entitled to a free extension of his/her subscription for one year. The liability of the service provider due to the aforementioned incorrectly printed details provided by the subscriber is limited to an amount of Euro 995. 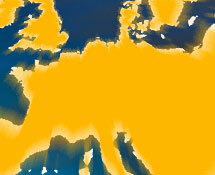 Decisions relating to advertisement positioning in certain sections of the EU Business Register or the designated categories are at the discretion of the service provider. 4. At the beginning of the second, third and following years of the subscription the service provider will send the subscriber an invoice, the payments for the second, third and following years have to be done on the bank account of the service provider as mentioned. All invoices are payable within the period specified the invoice. The service provider has the right to terminate the contract in the event of non payment within the aforementioned period of two weeks without a prior written notice. 5. The service provider is not liable for damages caused by any technical or other failure arising in the data base of the EU Business Register or any technical failure of the data base of the EU Business Register. The service provider is not liable for damages caused by any error in the data base of the EU Business Register. 6. The insertion in the data base of the EU Business Register is granted for three years and will be automatically extended every year for another year, unless specific written notice is received by the service provider or the subscriber two months before the expiration of the contract. This contract shall come into force seven days after the day the subscriber has signed the order and therefore shall end three years later. 7. Unless agreed otherwise beforehand by the service provider, the price stated corresponds to the price of one year insertion. The price of the first three years is Euro 2985,-. In the event of the extension of the contract under the terms defined in the order section, the price of the access for each year shall continue to be that originally stated. 8. In order to be effective, all undertakings notified verbally to the service provider's employees must be necessarily confirmed in writing. 9. The place of jurisdiction in any dispute arising is the service provider's address. 10. The agreement between the service provider and the subscriber is governed by the law of the juridical seat of the service provider.